40 Commercial Real Estate & Properties in Robina are listed in 3 categories. We have 22 OfficesLease , 11 Retail ShopsLease and 7 Industrial Warehouses Lease . Offices On Arbour $2,200 per month + Outgoi.. Highly Competitive Rental Rent from $255/sqm + outs..
165sqm of office space Rear tenancy with a competitive rent Also available within the main building 109sqm Full fit out with multiple offices, open plan, reception and kitchen Available now, inspect today Approx Disclaimer: Ray White has not independently checked any of the information we merely pass on. We make no comment on and give no warranty as to the accuracy of the information contained in this document which does not constitute all or any part of any offer or contract by the recipient. Prospective purchasers / lessees must rely on their own enquiries and should satisfy themselves as to the truth or accuracy of all information given by their own inspections, searches, inquiries, advices or as is otherwise necessary. No duty of care is assumed by Orchid Avenue Realty trading as Ray White Surfers Paradise Commercial divisions toward the recipient with regard to the use of this information and all information given is given without responsibility. 100 150sqm tenancy available Ground floor with great exposure Basement car parking Close to the M1 Motorway Varsity Train Station Plenty of client car parking Existing fit out in place Available now, inspect today Approx Disclaimer: Ray White has not independently checked any of the information we merely pass on. We make no comment on and give no warranty as to the accuracy of the information contained in this document which does not constitute all or any part of any offer or contract by the recipient. Prospective purchasers / lessees must rely on their own enquiries and should satisfy themselves as to the truth or accuracy of all information given by their own inspections, searches, inquiries, advices or as is otherwise necessary. No duty of care is assumed by Orchid Avenue Realty trading as Ray White Surfers Paradise Commercial divisions toward the recipient with regard to the use of this information and all information given is given without responsibility. Immaculate Robina Office Space $340/sqm + Outgoings and ..
109sqm of office space available now Recent tenancy upgrades Full existing fit out of reception, multiple offices, kitchen and open plan On site and Street parking available Immaculate building presentation Inspect today Approx Disclaimer: Ray White has not independently checked any of the information we merely pass on. We make no comment on and give no warranty as to the accuracy of the information contained in this document which does not constitute all or any part of any offer or contract by the recipient. Prospective purchasers / lessees must rely on their own enquiries and should satisfy themselves as to the truth or accuracy of all information given by their own inspections, searches, inquiries, advices or as is otherwise necessary. No duty of care is assumed by Orchid Avenue Realty trading as Ray White Surfers Paradise Commercial divisions toward the recipient with regard to the use of this information and all information given is given without responsibility. 61m2 of prime retail space + alfresco Ample parking Kitchenette Large cool room Grease trap available Huge catchment of residential living Close to schools and public transport Approx Disclaimer: Ray White has not independently checked any of the information we merely pass on. We make no comment on and give no warranty as to the accuracy of the information contained in this document which does not constitute all or any part of any offer or contract by the recipient. Prospective purchasers / lessees must rely on their own enquiries and should satisfy themselves as to the truth or accuracy of all information given by their own inspections, searches, inquiries, advices or as is otherwise necessary. No duty of care is assumed by Orchid Avenue Realty trading as Ray White Surfers Paradise Commercial divisions toward the recipient with regard to the use of this information and all information given is given without responsibility. 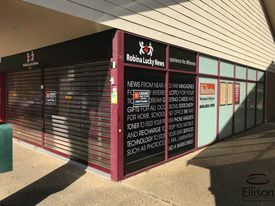 Owner Requests All Offers Be Submitted $923 per week + GST inclu..
98m2 of prime retail space Will suit a range of uses including Retail / Office / Medical Grease trap connection possible Extremely good parking Extra storage facility Close to public transport. Approx Disclaimer: Ray White has not independently checked any of the information we merely pass on. We make no comment on and give no warranty as to the accuracy of the information contained in this document which does not constitute all or any part of any offer or contract by the recipient. Prospective purchasers / lessees must rely on their own enquiries and should satisfy themselves as to the truth or accuracy of all information given by their own inspections, searches, inquiries, advices or as is otherwise necessary. No duty of care is assumed by Orchid Avenue Realty trading as Ray White Surfers Paradise Commercial divisions toward the recipient with regard to the use of this information and all information given is given without responsibility. Professional Offices/medical Suites $2,480 pcm + Outgoings + ..
Price Reduced - Extremely Motivated Vendor $350 per week + Outgoings..
73m2 of multi purpose space Retail /office / medical Change rooms already in place Kitchen/staff room Approx Disclaimer: Ray White has not independently checked any of the information we merely pass on. We make no comment on and give no warranty as to the accuracy of the information contained in this document which does not constitute all or any part of any offer or contract by the recipient. Prospective purchasers / lessees must rely on their own enquiries and should satisfy themselves as to the truth or accuracy of all information given by their own inspections, searches, inquiries, advices or as is otherwise necessary. No duty of care is assumed by Orchid Avenue Realty trading as Ray White Surfers Paradise Commercial divisions toward the recipient with regard to the use of this information and all information given is given without responsibility. Price Reduction - All Offers Considered $514 Per week + Outgoings..
107m2 in busy local centre Can be used for multiple purposes Private kitchenette amenities Ample onsite parking Join a great mix of long standing tenants Strong anchor tenants include BWS Vendors are ready to meet the market Enquire today to secure this opportunity Approx Disclaimer: Ray White has not independently checked any of the information we merely pass on. We make no comment on and give no warranty as to the accuracy of the information contained in this document which does not constitute all or any part of any offer or contract by the recipient. Prospective purchasers / lessees must rely on their own enquiries and should satisfy themselves as to the truth or accuracy of all information given by their own inspections, searches, inquiries, advices or as is otherwise necessary. No duty of care is assumed by Orchid Avenue Realty trading as Ray White Surfers Paradise Commercial divisions toward the recipient with regard to the use of this information and all information given is given without responsibility. 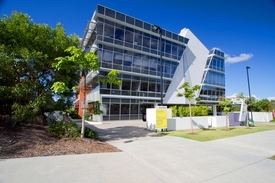 Large Office Suite In Robina - Plenty Of Room To Suit Professionals Needing Individual Offices. $3,880 pcm + Outgoings + ..
Multipe Vacancies - Submitting All Offers From $350 per week + Outg..
73m2 289m2 of retail space available Huge catchment of residential living Commercial kitchen capabilities Rear loading dock with parking Great signage opportunities capturing busy main road Ample on site customer parking Close to public transport Approx. Disclaimer: Ray White has not independently checked any of the information we merely pass on. We make no comment on and give no warranty as to the accuracy of the information contained in this document which does not constitute all or any part of any offer or contract by the recipient. Prospective purchasers / lessees must rely on their own enquiries and should satisfy themselves as to the truth or accuracy of all information given by their own inspections, searches, inquiries, advices or as is otherwise necessary. No duty of care is assumed by Orchid Avenue Realty trading as Ray White Surfers Paradise Commercial divisions toward the recipient with regard to the use of this information and all information given is given without responsibility. Beautifully fitted out Warehouse & Office combination in prime location clean, epoxy floor warehouse with high roller door glass entry Open plan, bright office space + meeting or directors office bathroom on both levels, 1 with shower kitchenette on both levels exceptional work space in cutting edge building Just completed, ready to lease NOW! contact for further info, pricing etc. 233m2 over 3 levels comprising clean, epoxy floor warehouse with high clearance large, easy access roller door kitchenette and bathroom w/ shower 1st floor boardroom & reception 2nd floor 100m2 wide office space with fantastic outlook M&F toilets + Kitchenette Glass boardroom or directors office Located at the front of cutting edge development. Great exposure. Just completed and ready to lease. 10 basement bays available Flexible terms Close to Robina Town Centre $1,800 + GST per annum Available now!!! 75m2 total floor area Comprises of 45m2 first floor space 30m2 second floor office space Own facilities Kitchenette Quality fit out Epoxy floor Plenty of natural light & breeze First floor balcony For LEASE: $2,500 + GST PCM Disclaimer PRO Commercial has not personally confirmed the property information we pass on. We give no guarantee as to the accuracy of this information. Prospective purchasers and lessees should rely on their own enquiries and should satisfy themselves as to the truth or accuracy of all information given by their own inspections, searches, advices or as is otherwise necessary. No duty of care is assumed by PRO Commercial toward the purchasers and lessees with regard to the use of this information and all information given. 105m2 total floor area Includes ground floor warehouse/studio space & first floor loft/office Quality fitout Sleek, contemporary design Great natural light Fresh Epoxy floor Glass door entry Balcony Premium location CBD Robina For Lease: CONTACT AGENT High calibre, trendy offering from Ravia Property Group in the Gold Coast's best Commercial location. Premium quality, brand new development available to lease now! Call to inspect! Disclaimer PRO Commercial has not personally confirmed the property information we pass on. We give no guarantee as to the accuracy of this information. Prospective purchasers and lessees should rely on their own enquiries and should satisfy themselves as to the truth or accuracy of all information given by their own inspections, searches, advices or as is otherwise necessary. No duty of care is assumed by PRO Commercial toward the purchasers and lessees with regard to the use of this information and all information given is given without responsibility. Modern Robina Office $22,000 per annum + GST +..
A great opportunity to lease this spacious ground floor office in Robina has presented itself. This property benefits from: • A fully ducted air conditioning system • Front and rear entry • A ready to use alarm system • A toilet and vanity area, exclusively accessed by the occupant With exposure facing Scottsdale Drive this 91m2 property is well positioned and won't be available for long. Don't miss out on this opportunity, book your inspection today! Great location for any professional organisation. Immediate vicinity boasts a multitude of financial legal service providers among other professional enterprises. Ready for immediate possession! 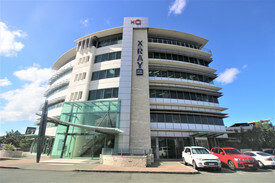 On Offer: 108sqm fitted office space 3x offices + boardroom meeting room In tenancy storage + secure basement storage if required 2x secure basement car parks, 1 above ground + ample visitors parking Shared amenities in common area Excellent location facing Robina Town Centre For additional information or to arrange an inspection please contact listing agent Tanaka Jabangwe of Ray White Commercial GC South. 6 Energy Circuit is a progressive warehouse development comprising 21 units with an array of layouts and possibilities. This development will fill a gap in the market for premium quality warehouses suited to a number of uses in the CBD Robina area. The site is surrounded by growth and opportunity with significant infrastructure recently completed including Masters Home Improvement, private business headquarters and a number of new commercial office and showroom projects. 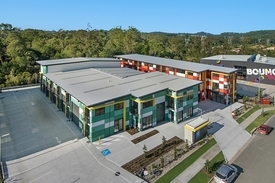 Located just one kilometre from Varsity Lakes train station, 6 Energy Circuit offers access and exposure from the M1 and Scottsdale Drive – a main link from Robina to Burleigh Heads, meaning your business is easily visible to a large catchment area. 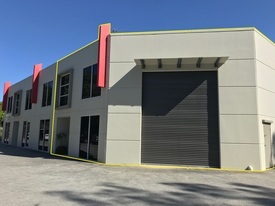 This site is located adjacent to Robina Group's successful and unique M1X Energy Centre, comprising five modern showroom / warehouse / offices now fully leased. Also just across the road is the Robina branch of Queensland Police. Each of the existing and future businesses in the growing M1 Business Precinct will complement and benefit each other. If you would like further information, please do not hesitate to contact Brendon Ross today. Disclaimer PRO Commercial has not personally confirmed the property information we pass on. We give no guarantee as to the accuracy of this information. Prospective purchasers and lessees should rely on their own enquiries and should satisfy themselves as to the truth or accuracy of all information given by their own inspections, searches, advices or as is otherwise necessary. No duty of care is assumed by PRO Commercial toward the purchasers and lessees with regard to the use of this information and all information given is given without responsibility. 4 available @ 200m2 each Premium & versatile layout Ground floor car spaces, warehouse & facilities Levels 1 & 2 open plan studio/loft style space Includes balconies on both upper levels – nice aspect to CBD Robina For LEASE: CONTACT AGENT These unique spaces are the latest concept to be offered by Ravia Property Group and suit a wide array of uses. Inspection is a must to truly appreciate this progressive development in the Robina hub. Call to inspect! Disclaimer PRO Commercial has not personally confirmed the property information we pass on. We give no guarantee as to the accuracy of this information. Prospective purchasers and lessees should rely on their own enquiries and should satisfy themselves as to the truth or accuracy of all information given by their own inspections, searches, advices or as is otherwise necessary. No duty of care is assumed by PRO Commercial toward the purchasers and lessees with regard to the use of this information and all information given is given without responsibility.